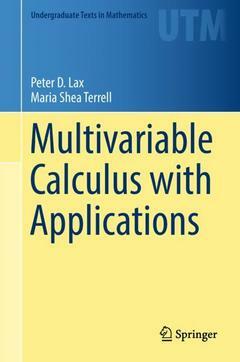 This text in multivariable calculus fosters comprehension through meaningful explanations. Written with students in mathematics, the physical sciences, and engineering in mind, it extends concepts from single variable calculus such as derivative, integral, and important theorems to partial derivatives, multiple integrals, Stokes? and divergence theorems. Students with a background in single variable calculus are guided through a variety of problem solving techniques and practice problems. Examples from the physical sciences are utilized to highlight the essential relationship between calculus and modern science. The symbiotic relationship between science and mathematics is shown by deriving and discussing several conservation laws, and vector calculus is utilized to describe a number of physical theories via partial differential equations. Students will learn that mathematics is the language that enables scientific ideas to be precisely formulated and that science is a source for the development of mathematics. 1. Vectors and matrices.- 2. Functions.- 3. Differentiation.- 4. More about differentiation.- 5. Applications to motion.- 6. Integration.- 7. Line and surface integrals.- 8. Divergence and Stokes’ Theorems and conservation laws.- 9. Partial differential equations.- Answers to selected problems.- Index. Maria Shea Terrell is currently a retired Senior Lecturer in Mathematics at Cornell University.